Class may be from 1 – 2 hours duration enabling students to experience the art of batik from a very basic level to a more advanced stages as desired. Video animation with brief introduction to the story of batik. Finishing touches for final product. The base price is IDR 250.000/pax for 40 x 40 cm piece of cotton. If you want longer piece of cloth, or silk, then the price goes up accordingly. Our workshops do not teach theory. 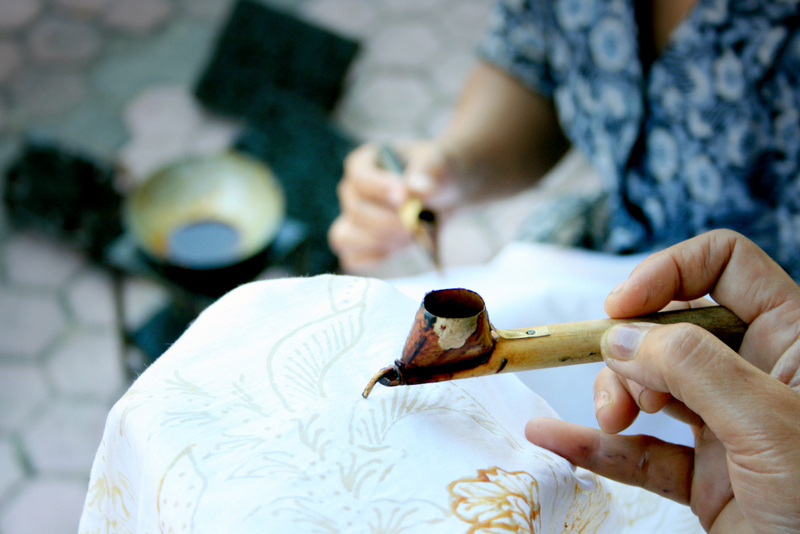 It will spark your interest and give you direct, hands-on experience of making a batik.